A leading Senate Democrat has called on the Treasury Department to turn over banking and real estate records related to Donald Trump’s 2008 sale of a six-acre Palm Beach estate to a Russian billionaire – a real estate flip that yielded Trump $95 million after paying $41 million for the property just four years earlier. “It is imperative that Congress follow the money and conduct a thorough investigation into any potential money laundering or other illicit financial dealings between the president, his associates, and Russia,” wrote Sen. Ron Wyden, an Oregon Democrat who sits on the Senate Intelligence Committee that is investigating 2016 election meddling. The transaction between Trump and Russian oligarch Dmitry Rybolovlev is being reviewed by Special Counsel Robert Mueller’s team, Wyden says in his letter, citing a report by Bloomberg News. In a 2016 interview with ABC’s George Stephanopoulos, Trump maintained that the real estate deal was one of the few deals he had ever done directly involving a Russian buyer. At the time, he attributed the mark-up to renovations he made on the property. 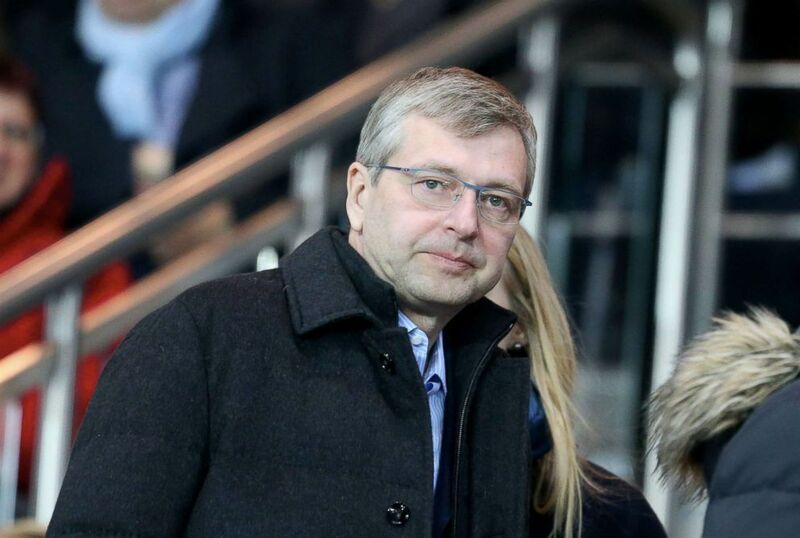 Dmitry Rybolovlev attends the French Ligue 1 match between Paris Saint-Germain and AS Monaco at Parc des Princes, March 20, 2016 in Paris. Representatives for the Trump Organization and the Treasury Department did not immediately respond to requests for comment. Wyden, who also sits on the Senate Finance Committee, said in his letter to Treasury Secretary Steven T. Mnuchin that he has questions about the deal, which at the time was considered one of the most expensive house sales on record. Wyden noted the deal emerged at a time when published reports indicated Trump was having difficulty finding banks to lend him money and the sale came just months before Trump Entertainment Resorts filed for Chapter 11 bankruptcy. “In the context of the President’s then-precarious financial position, I believe that the Palm Beach property sale warrants further scrutiny,” Wyden wrote. The purpose of a request to Treasury is to gain access to Suspicious Activity Reports (SARs) – records the Treasury Department keeps of large transactions that raise red flags for possible money laundering. Wyden is also seeking copies of records collected by the Treasury Department that would identify the parties who later bought slices of the Palm Beach estate, which Rybolovlev subdivided after the 2008 purchase. Those sales, to anonymous shell corporations, would have been difficult to scrutinize, but these occurred after the Treasury Department began requiring title insurance companies in specific areas, including Palm Beach County, to demand the identities of individual buyers and file reports with those names. Senator Ron Wyden, a Democrat from Oregon and ranking member of the Senate Finance Committee, speaks during a House-Senate conference meeting on the Republican led tax reform bill at the U.S. Capitol in Washington, D.C. Dec. 13, 2017. 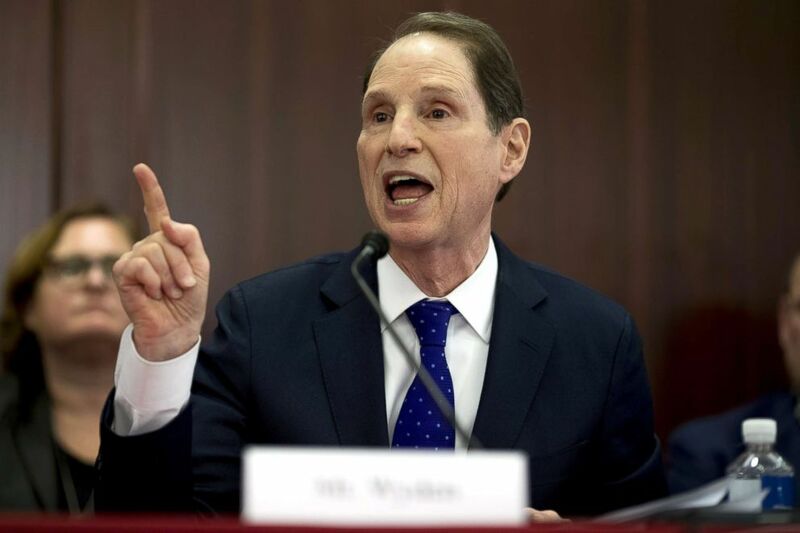 Wyden has led an effort for months to obtain copies of financial records from the Financial Crimes Enforcement Network, known as FinCen, including any suspicious activity reports related to dozens of people connected to Trump’s past business dealings. After receiving an initial batch of records, Senate investigators have received nothing from Treasury, according to sources familiar with the requests. During the campaign, Trump told ABC News the deal was evidence of nothing except his business acumen. “I have no relationship to Russia whatsoever,” he said.